Who is this General Martin Kenyi? The one South Sudanese Rebel supposed to be behind the insurgence in Yumbe! As the reports were of the killings and even abduction in Yumbe District recently, the Police and Army have been silence. I just saw one note and one name of the leader of the South Sudanese rebel and his group that seeming is based in Equatoria. I will look into how where and what. The Gen. Kenyi have done it before, even in December 2014, the same rebels went into Uganda and killed. So there is a history of these actions with this man. “”bushes and forest is only for Dinka and Nuer, Equatorians cannot manage the forests”.Kiir quotedly said” (…)”Martin Kenyi had 50 houses in Juba and what we will do we will just confiscate all those houses and he will return back here” Salva Kiir on the rebellion of General Martin Kenyi!” (…)”Gen. Martin Kenyi is yet to declare himself, however, youth in various towns of Equatoria from Nimule, Maridi to Yei have not been in good terms with the SPLA-Juba forces”(Nyamilepedia, 28.11.2014). 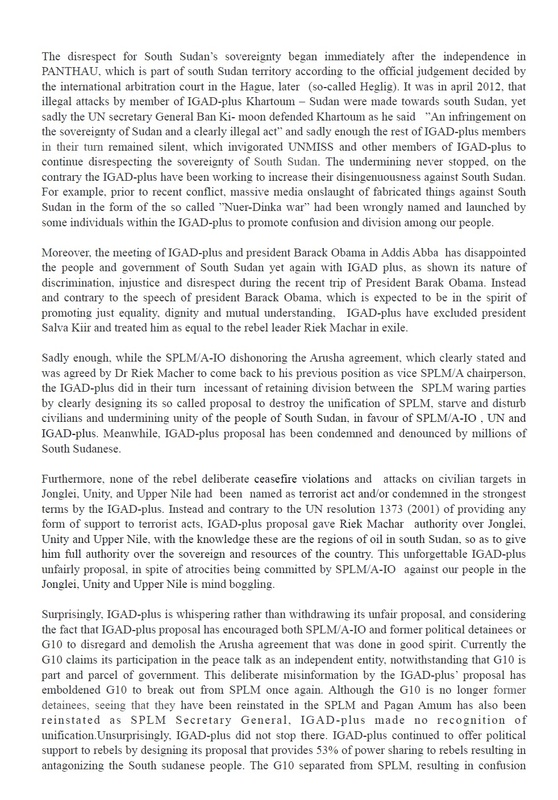 “General Martin Kenyi is urging all the patriotic elements in Juba and Equatoria in general to abandon the bloodthirsty regime of Salva Kiir and his cohorts from Warrap and Awiel and join the SPLM/SPLA, the forces of change and revolution” (SPLA/SPLM, 16.12.2014). 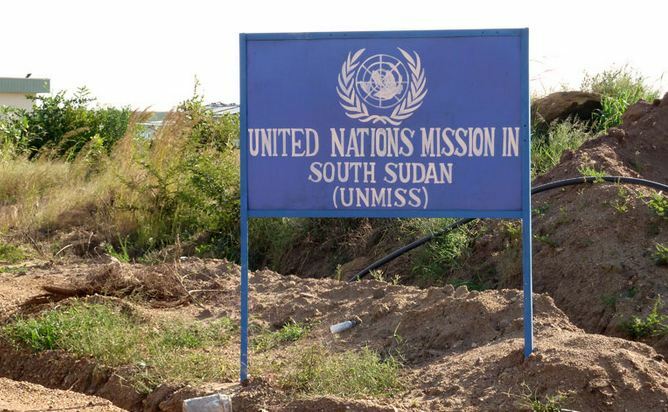 “Close sources to JJ Okot, confirmed by other higher sources in the Military elite, with insiders knowledge, revealed that a highly secretive meeting with its minutes classified, was conducted by the chief of general staff, Paul Malong, Defense Minister Koul Manyang Juuk, and the die hard kiir’s supporter J.J Akot, to ensure, General Martin Kenyi does not live and must be assassinated” (Nyamile, 08.01.2016). “We equatorians have been suppressed and treated as second class citizens in our own country. Our land has been grabbed in our own eyes. Our women and daughters have been rapped in our present. Dictator Kiir himself got two teenage girls pregnant in Catholic church as good living example. 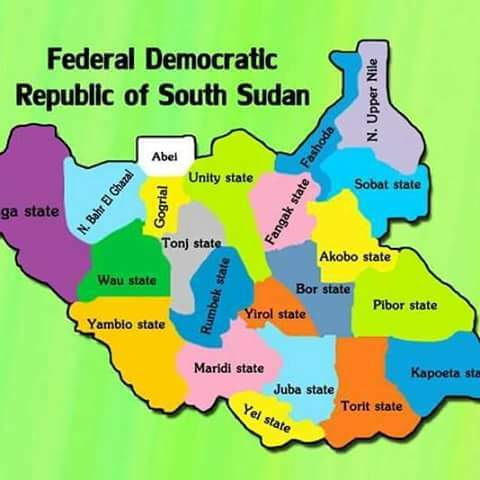 Because of all these grievances, we have joined Dr. Riek Machar Teny-Dhurgon to unseat tyranny Dictator’s regime and replace it with Federal Republic of South Sudan whereby state will have its own autonomy. Twenty-one states, under federal system, are our number one choice to get rid of marginalization and live free in our own land. We will take back our land that they have illegally grabbed.” said Brig. General Martin Kenyi. Gen. Martin Kenyi explained: “Now, I am General Martin Kenyi. I am from Equatoria. I am also part of that JMEC. I represent IO…..We have presented initially 83 cantonment sites. These 83 cantonment sites included cantonment areas in Equatoria and Bahr El Ghazal. When we came to Juba, in the process of our deliberation; these cantonment areas have been asked to be reduced. We have reduced our cantonment areas to 36. The government has 11 cantonment sites. The government does not have cantonment areas in Equatoria and Bahr El Ghazal- but we do. And this has never been challenged…” (Radio Tamazuj, 18.05.2016). 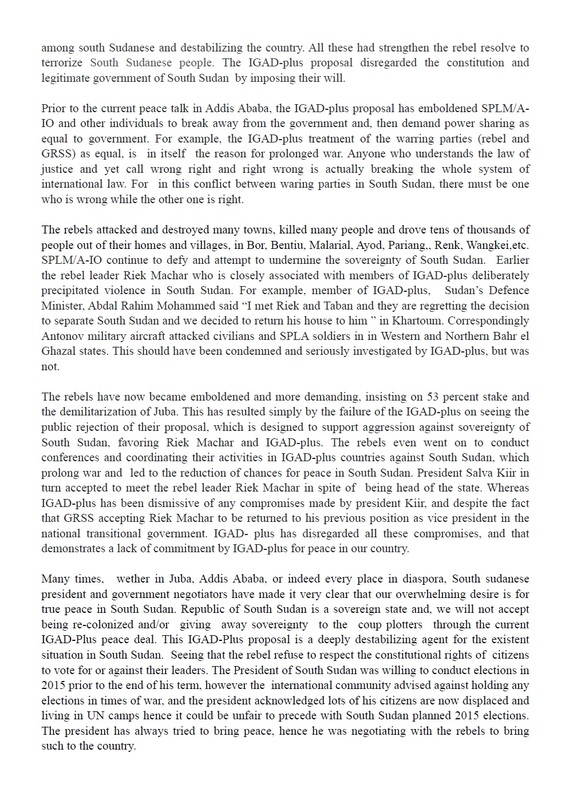 “In their letter of complains directed to Salva Kiir and JMEC, a copy obtained by this news site, the group warned Kiir and his men of retaliatory attacks unless Kiir ends hostilities and unlawful arbitrary arrests which terrorizes the entire region of Magwi County, “we will not rest but shall protect our land and families in face of continued aggression directed towards our people” said the letter” (…)”This week the SPLA-Kiir invaded Dereto, a village near Moli Tokuro, and arrested several people including women, many of the arrested people allegedly have been tortured; one particular eye witness recounted the moment the soldiers arrived in the village at the time many of the villagers were still in their beds early morning. The soldiers demanded the villagers to produce the members of “the rebels of General Kenyi” who live in the area because the soldiers claimed they had heard gun sounds/shots in the previous evening” (…)”The invading soldiers accused Loku Tony John and many other young men who were rounded up from their homes in the early morning of being rebels. After they were tortured and thrown in an open pick-up truck they were driven to Moli Tokuro SPLA barracks, since then their relatives did not hear from them, apparently they were said to have been badly tortured and being kept in inhumane conditions” (…)”The group in its letter a copy seen by SSLN, urged the president not to put the interest of the cows first but to focus on uniting the people of South Sudan rather than engineering his tribal gangs to escalate more war base on ethnicity. 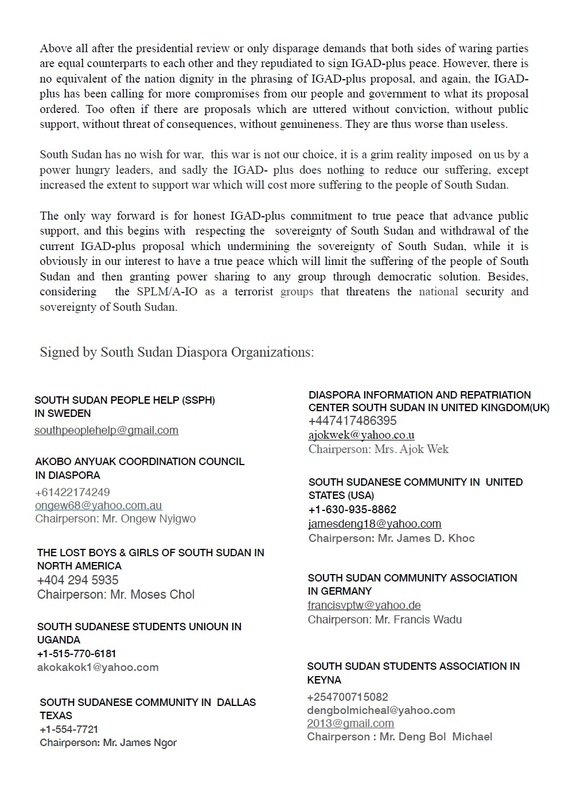 “ Kiir must make up his mind if he wants peace let him pursue peace, if he still thirst for war he will get it the same measure as he would like to take the war to other people” read the letter partly” (…)”The group warned Kiir of escalating tension in what is known as relatively calm region of Magwi County. 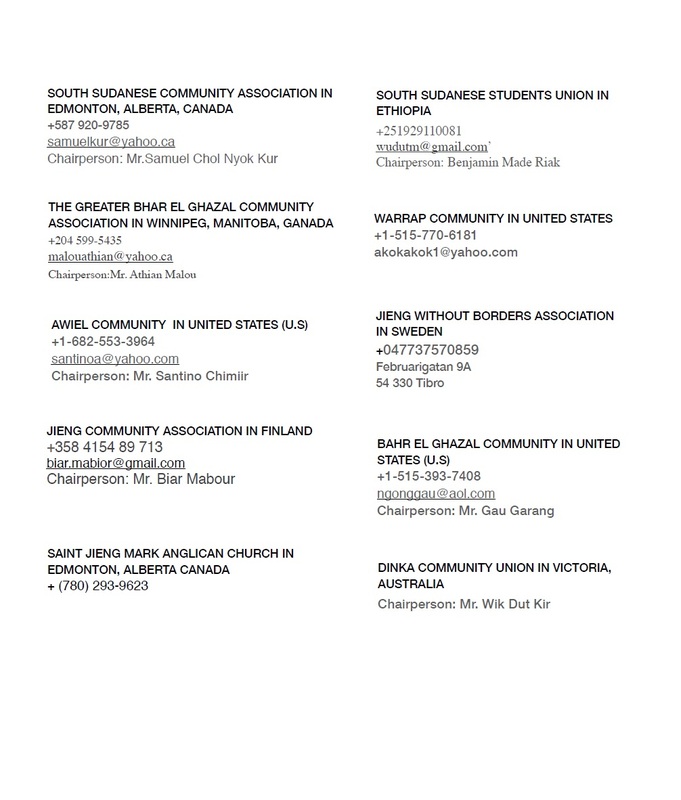 “If he pursue others, his men too shall be pursued, guaranteed”, “do unto others as you would like them to do unto you.” Added the letter” (May 14th 2016 – “Kiir Continues to Give orders to Arrest Civilians in Mwagi County Eastern Equatoria State). 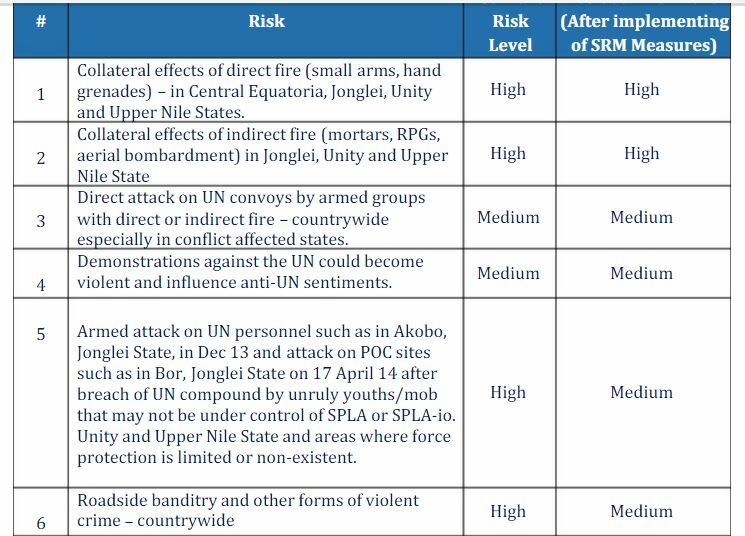 “As things stand for now subsequently, there was a high level of preparation to surround and crash the SPLA-IO forces in Bahr El Ghazal and greater Equatoria. Kiir still believe the genuine popular uprising in the Bahr el Ghazal and Equatorian regions must be suppress and crash out by use of military as he and his tribal elders who want to rule South Sudan base on their Dinka belief of the born to rule” (…)”The government believe the rebel forces in these areas have different interests, thus in the mind of Kiir and his tribal Jieng Council of Elder these groups are not part of SPLA – IO rather choose to label them as road bandits or robbers whilst accepting the leaderships such as general Alfred Lado Gore, Martin Kenyi and Gen Dau Aturjong to take part in the TGoNU” (…)”It was confirmed that, as discussion is going on in the Parliament, the government had mapped the SPLA – IO forces in Bhar El Ghazal and Equatoria and continues to issue absolute rejection to recognize the two greater regions of Bahr El Ghazal and Equatoria as part of SPLA-IO” (…)”However, some of Kiir’s very own military generals from the two excluded regions expressed their dismay, they said the authoritarian regime led by Kiir is not ready to embrace its lips service slogan of “ one people, one nation,” “Since the government believe in its military power, the future of the negotiated peace is unpredictable, though nobody have appetite to fight senseless war again, but the people of this great nation have no choice than to liberation themselves from tyranny if reform is not given a priority” said the heavy weight generals who asked for their names not to be reveal as the matter is still on discussion” (May 23rd 2016 – “The Dinka Centric SPLM-Kiir, Rejected cantonment for the 3rd time for SPLM-IO Forces in Bhar El Ghazal and Equatorian Regions”). 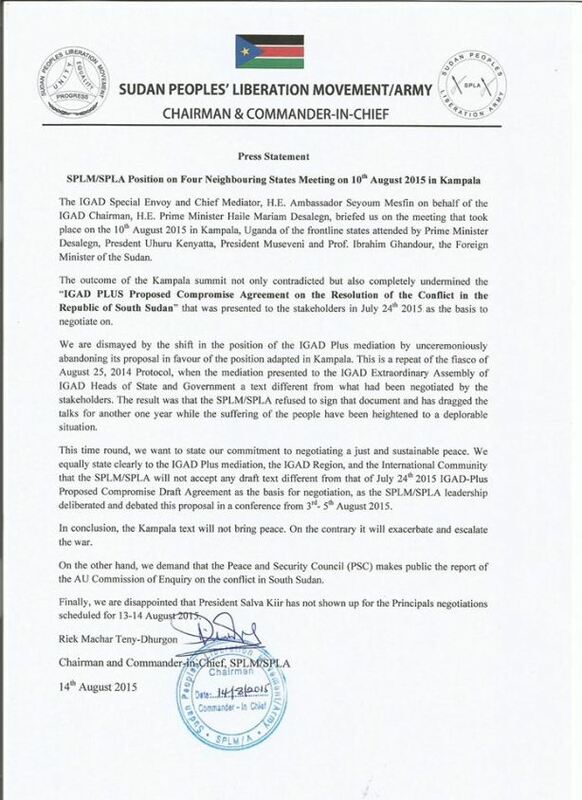 The general, who have been a part of the liberation struggle, is now a rebel against the SPLA/SPLM. So after my digging he have an issue with the Juba Government and such. Still, he has even in the past entered into Uganda with rebels and killed. Therefore that General Martin Kenyi is now a direct enemy of President Kiir, as he has not only confiscated his houses in Juba, but now wanting to get rid of him. 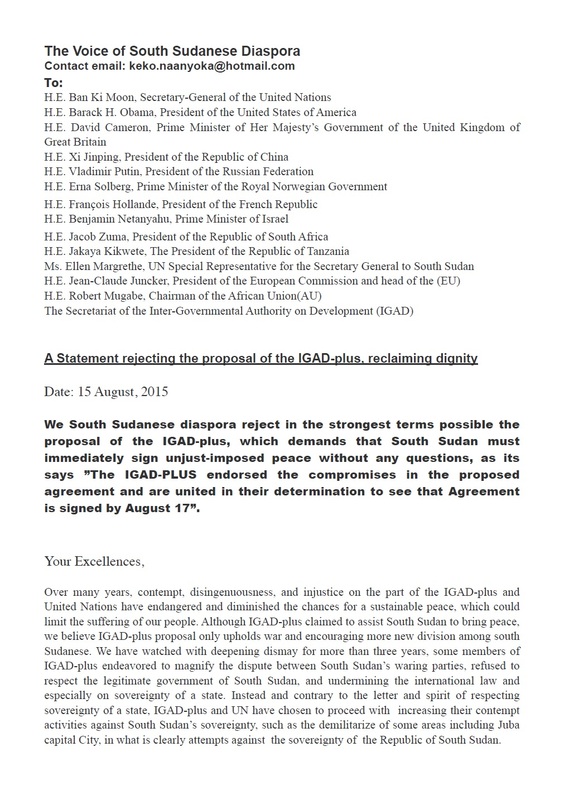 So there will not be a an agreement between these two “the Way” it went with Dr. Riek Machar and his SPLM-IO. 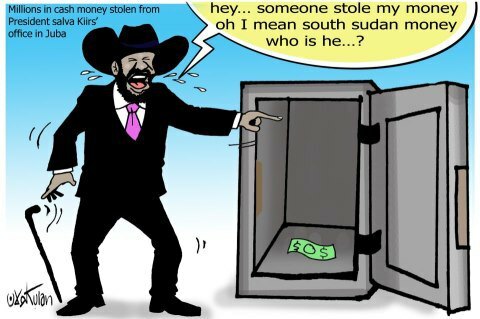 The troops of SPLM-IO might have harbored the rebels of Gen. Kenyi, as there are some reports of, certainly Machar would have used any guns he could get. And would not be surprised if President Bashir really supervised with logistical help to Gen. Kenyi and his rebels; as Bashir wants to do what he can to weaken Juba and that government. So we are at point where Gen. Kenyi is not only problem for Juba, but can be for Kampala, as Kiir is friendly with Museveni and when they are friend and the borders are porous, than he and his rebels can easily cross from South Sudan to the Northern Uganda. Therefore the UPDF should either corporate with the SPLA, or ask to help if they want this rebel general. That with the knowledge that Gen. Kenyi has a grand standing with the population in the Equatorial State and in Bahr El Gahzal; so the government have to take a stand of how friendly they want to be amongst one of their big-men. Peace. 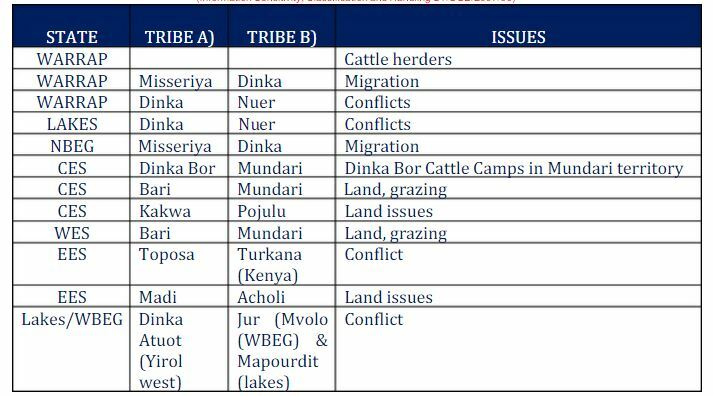 Subsequently, for the few reasons above mentioned we (Nuer Community in Uganda) strongly rejected the unfounded concept of creating 28 States. In conclusion dear, Mr. president Salva Kiir Mayardit I wanted to tell you that I have discover your problem now wonder you had been sick every now and then the Doctor found nothing. This is because you are healthy physically but mentally you are sick this appears when you were issuing a degree you made unconsciously and out of anger which characterizes your psychological sickness. So I would refer you to go and see The Counseling Psychologist to deal with your trauma of KILLING over 30,000 people in South Sudan or else. You better resign because you lost yourself esteem which boosted you in good decision making. 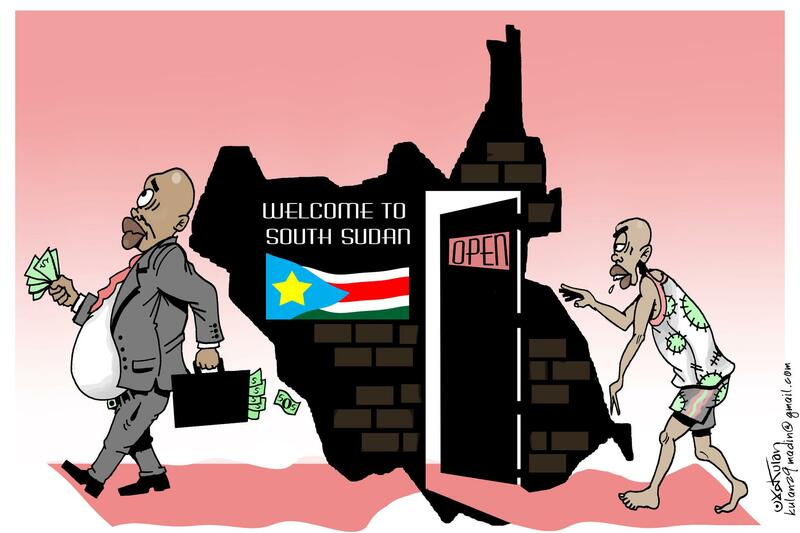 It has become low and unconscious that is why you are bringing more and more mess to the people of South Sudan.